Inconel 718 is one of the modern materials widely used in the aviation and space industry, due to their excellent mechanical and chemical properties at elevated temperatures. These parts work in difficult conditions and they are required to be characterized by good accuracy and high quality surface finish to ensure greater durabili-ty and fatigue strength. Conventional machining of these materials is difficult and ineffective due to low thermal conductivity of the alloy. Electrical discharge machining (EDM) is often used to machine materials regardless of their mechanical and physical properties. In this process material is removed from the workpiece through series of electric discharges occurring in the sparking gap between a tool electrode and the workpiece. The physics of removing material from the workpiece is completely different from other traditional machining methods, and its effects determine the functional properties of the surface layer. The purpose of the experimental research was to investigate the influence of machining parameters on surface texture of Inconel 718 after electrical discharge machining assisted with ultrasonic vibration of the tool electrode (EDM+US). The study was carried out with a design experimental methodology. Input parameters were discharged current I and pulse duration ton.Roughness parameters Sa, St, Sz were designated for each machined surface. R. Nowicki, R. Świercz, D. Oniszczuk-Świercz, L. Dąbrowski, A. Kopytowski, Influence of machining parameters on surface texture and material remov- al rate of Inconel 718 after electrical discharge machining assisted with ultrasonic vibration, AIP Conference Proceedings, 2017, 020019 (2018). D. Oniszczuk-Świercz, R. Świercz, R. Nowicki, A. Kopytowski, L. Dąbrowski, Investigation of the influence of process parameters of wire electrical discharge machining using coated brass on the surface roughness of Inconel 718, AIP Conference Proceedings, 2017, 020020 (2018). A. Abdullah, R. Mohammad, A. Shabgard, T. Mohammad, Shervanyi-Tabar, Effect of ultrasonic-assisted EDM on the surface integrity of cemented tungsten carbide (WC-Co), Int. J. Adv. Manuf. Technol. (2009), 268-280. A. Ruszaj, Charakterystyka współczesnych procesów wytwarzania elementów maszyn i narzędzi, The World of Machine Tools & Tools (2014), vol. 9 (9-10), 23-29. 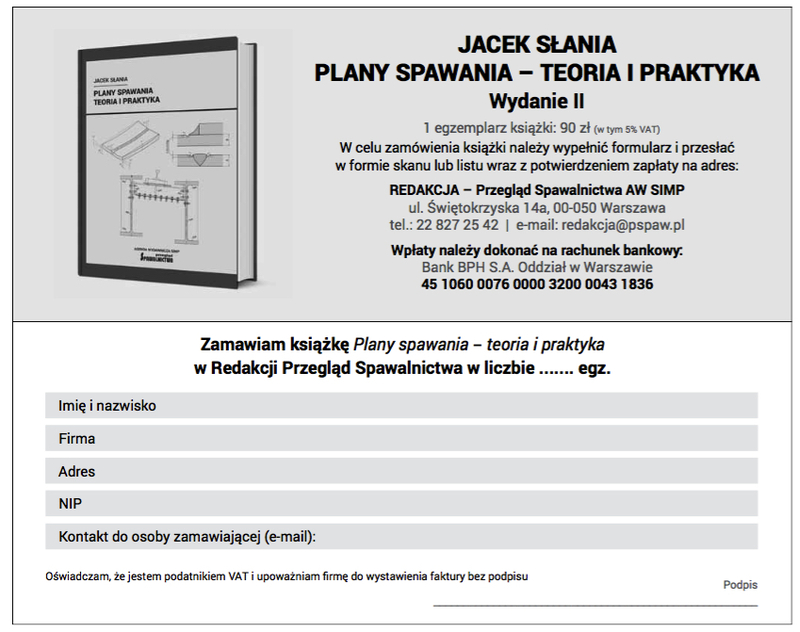 A. Ruszaj, S. Skoczypiec, Obróbka elektroerozyjno-ścierna – wybrane zagadnienia, Mechanik (2015) nr 3, 210-215. M. R. Shabgard, B. Sadizadeh, H. Kakoulvand, The Effect of Ultrasonic Vibration of Workpiece in Electrical Discharge Machining of AISIH13 Tool Steel, World Academy of Science, Engineering and Technology (2009), 28. C. Praneetpongrung, Y. Fukuzawa, S. Nagasawa, K. Yamashita, Effects of the EDM Combined Ultrasonic Vibration on the Machining Properties of Si3N4, Materials Transactions (2010), vol. 51 (11), 2113-2120. G. Prihandana, M. Mahardika, M. Hamdi, K. Mitsui, Effect of low-frequency vibration on workpiece in EDM processes, Journal of Mechanical Science and Technology (2011), 25 (5), 1231-1234. J. Jakubowski, M. Bober, T. Rudaś, Struktura złączy lutospawanych metodą CMT stali ocynkowanej ogniowo, Welding Technology Review (2013), vol. 85 (9), 45-49. A. Singh, S. Kumar, V. Singh, Electrical Discharge Machining of Superalloys, A Review. IJRMET (2013) vol. 3 (2). R. Świercz, D. Oniszczuk-Świercz, L. Dabrowski, Electrical discharge machining of difficult to cut materials, Archive of Mechanical Engineering (2018), 65, 461-476, https://doi.org/10.24425/ame.2018.125437. I. Dul, J. Senkara, M. Bober, J. Jakubowski, Wpływ wysokotemperaturowego wygrzewania próżniowego na lutowność Inconelu 718 lutem Palnicro 36, Welding Technology Review (2013), vol. 85 (9), 15-19. T. Chmielewski, P. Siwek, M. Chmielewski, A. Piątkowska, A. Grabias, D. Golański, Structure and Selected Properties of Arc Sprayed Coatings Containing In-Situ Fabricated Fe-Al Intermetallic Phases, Metals (2018), 8, 1059, https://doi.org/10.3390/met8121059. K. Rokosz, T. Hryniewicz, D. Matýsek, et al. SEM, EDS and XPS Analysis of the Coatings Obtained on Titanium after Plasma Electrolytic Oxidation in Electrolytes Containing Copper Nitrate, Materials 9, 318, https://doi. org/10.3390/ma9050318. S. Spadło, P. Młynarczyk, K. Łakomiec, Influence of the of electrical discharge alloying methods on the surface quality of carbon steel, Int. J. Adv. Manuf. Technol. (2017), 89, 1529-1534, https://doi.org/10.1007/ s00170-016-9168-1. D. Bańkowski, S. Spadło, The Aplication of Vibro – Abrasive Machining for Smoothing of Castings, Archives of Foundry Engineering (2017), 17, 169-173, https://doi.org/10.1515/afe-2017-0031. S. Spadło, W. Depczyński, P. Młynarczyk, Selected properties of high velocity oxy liquid fuel (HVOLF) – sprayed nanocrystalline WC-CO INFRAL- LOYTM S7412 coatings modified by high energy electric pulse. Metalur- gija (2017), 56, 412-414.